I recently had the pleasure of spending a long weekend in Melbourne at PAX Aus 2014, soaking in all the video game goodness the show had to offer. 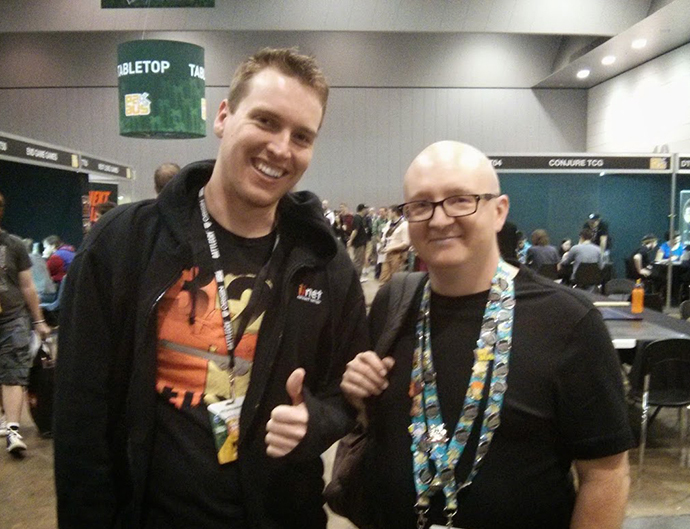 You can read about my full PAX experience here, but long story short, the highlight for me was the ANZ Indie Pavilion, which played host to a few dozen of Australia’s best upcoming indie games. For those unfamiliar with the lingo, an “indie” is simply a game that is independently published i.e. the people who develop the game also publish it. Non-indie games use a separate publisher, comparable to the relationship between an author and a book publisher, or a band and a record company. The rise of digitally distributed goods and social media has cut out a lot of the need for the publishing “middle-man” and allowed a freer, more creative indie scene to flourish. Even before meeting the team at PAX, Hand of Fate managed to get its addictive hooks into me thanks to the few hours I spent with it on Steam Early Access. Brought to us by Brisbane based Defiant Games, Hand of Fate mixes the deck building fun of physical collectible card games, with the random excitement of the Roguelike genre and action elements from games like Batman: Arkham City. At PAX I had the pleasure of sitting down with Defiant Games founder Morgan Jaffit, who explained that the game’s inspiration comes in part from his childhood playing tabletop games and reading fantasy novels. Through our conversation I could tell just how much love and effort Morgan and his team have poured into Hand of Fate over its 2 year development. This was especially evident when Morgan spoke about the painstaking care that went into balancing the difficulty in Hand of Fate, no easy task for a game with so many random elements. When playing Hand of Fate, the intimidating Dealer sits across from you and systematically reveals each card, which might be a trap, a fight, a rickety bridge or any manner of challenges from the hundreds of included cards. Morgan explained how the cards you see represent your character’s memories as they are stirred up, as the Dealer studies your reactions with an unnerving intelligence. Hand of Fate has a great dark gothic tone, and once you become familiar with the addictive gameplay loop, it’s easy to lose track of time. We can expect to see a full release of Hand of Fate on PC, Mac, Linux, Xbox One and PS4 sometime in early 2015. My favourite thing about Ninja Pizza Girl is that the studio behind it (Disparity Games), consists of husband and wife team Jason and Nicole Stark, along with their 16 year old daughter Raven. 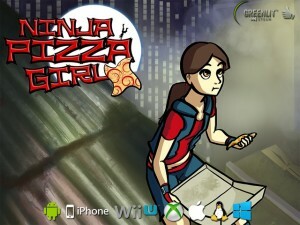 If that wasn’t charming enough, the Ninja Pizza Girl concept was directly inspired by Raven’s time as a pizza delivery girl while she simultaneously studied Ninjutsu. The gameplay follows the fairly familiar “endless runner” concept with the protagonist moving forward automatically, leaving it up to the player to time their flips, jumps and obstacle manoeuvres. An interesting gameplay element that adds to the formula is that as the player makes mistakes and drops to lower levels, the difficulty of the levels drops too. This gives the game increased accessibility, as it will naturally find you a balance between challenging and achievable. The setting has a dystopian Japanese cyberpunk feel, and looks to have a surprisingly deep story for a genre often missing story altogether. When chatting to Nicole at PAX, she mentioned how failure in the game isn’t represented by a simple loss of time or health, but by a loss of self-esteem caused by bullying from rival pizza girls. I look forward to seeing this concept fleshed out when the game launches on PC, Android, iOS and Wii U sometime next year. While walking around the ANZ Indie Pavilion at PAX, the last thing I expected was a mention of subatomic particle physics, but that’s exactly what SeeThrough Studios’ upcoming title Particulars had on offer. Particulars appears like a 2D puzzle game, but each piece of the puzzle is actually a subatomic particle. The gameplay revolves around how the different particles and force interactions affect the particle you control (a down quark). Concepts like polarity are represented simply by colour, and the strength of charge shows up as a glowing aura around each particle. 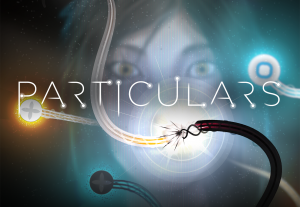 With an unusually deep story for a puzzle game, Particulars follows physicist, Alison as she struggles with her troubled and mysterious past. What I found especially fascinating was that interactions between different atomic forces seem to be a metaphor for the struggles in Alison’s life. The concept of struggling toward a goal while being pushed and pulled by forces from all sides is a powerful allegory. While chatting to the team at PAX, they mentioned they were inspired to make Alison’s story compelling by following an emotional vibe set by games like Gone Home, a lofty but exciting prospect. I didn’t have long with Particulars but the impression I had was of a game with deceptively deep gameplay and a powerful story, that also manages to teach a little physics without bombarding you with information. Particulars has now been released in full on Steam, with Mac and Linux versions coming soon.